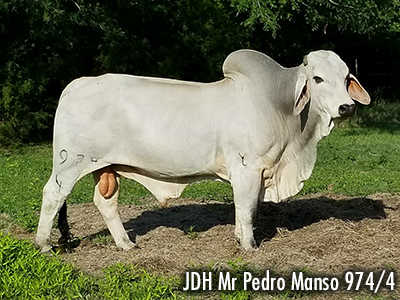 We purchased two new herd sires, JDH Mr Pedro Manso 974/4 and JDH Munroe Manso 54/9. We would like to thank Clay Hudgins for showing us around J.D. 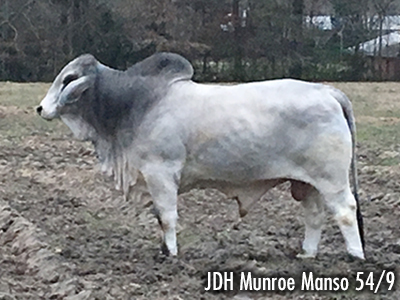 Hudgins Ranch and selling us the nice herd sire, "Munroe". Visit our Herd Sire page for pedigree information and pictures. 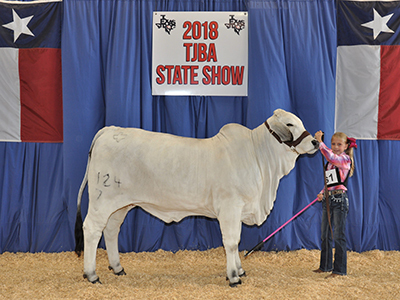 Ayden Chamblee received 2nd place in her class with Miss E-Tex 124/7, "Lucy", at the Texas State Junior Show. 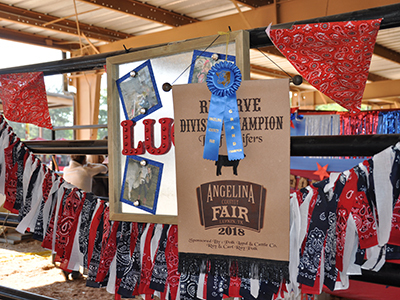 We would like to congratulate Ayden Chamblee for her accomplishments in the Angelina County Youth Fair. 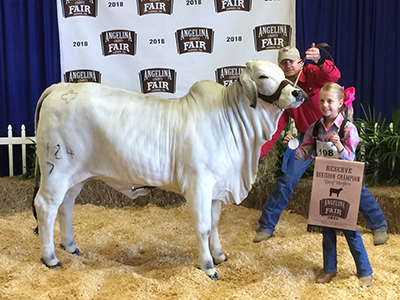 She won Grand Champion Grey Brahman and Reserve Grand Champion American Breed with Miss E-Tex 124/7, "Lucy". We are so pround of Ayden and her hard work showing. Visit our Show Cattle page to view the pictures of the shows.